Sorry! What a silly mistake to make. 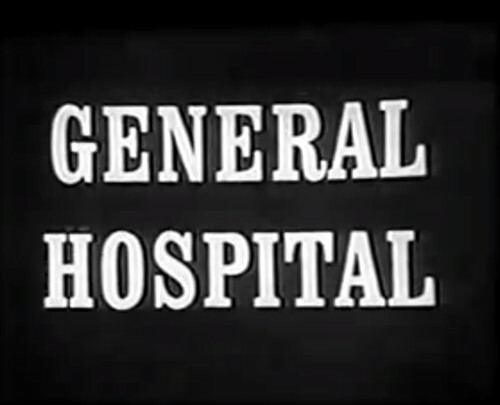 I’ve just been watching this March 1968 episode of General Hospital, and the two shows are so similar that sometimes I forget which one I’m supposed to be writing about. After all, they’re on the same network, and General Hospital was the lead-in to Dark Shadows up until two weeks ago, when they wedged One Life to Live in between them, just to give people a fighting chance at telling them apart. After all, to be effective, drama has to be rooted in the human condition. 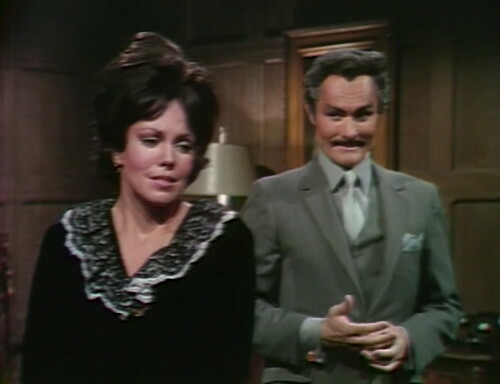 At the end of the day, General Hospital and Dark Shadows are both about the same fundamental concerns — love, death, power, revenge, voodoo and bringing people magazines. But we’re not supposed to be watching Dr. Hardy and Nurse Lucille talking about Audrey’s miscarriage. We should be watching Nicholas Blair, who’s walked into a deserted old storeroom and caught Angelique, just as she’s about to cut off Adam’s head with an axe. Now that I think about it, that’s one of the easier-to-spot differences between the two shows; General Hospital doesn’t break out the medieval tableware very often. When the characters on GH want to mess with each other, they use a completely different set of tools, like fretting and nagging and over-explaining things. For example, here’s Mr. Murdoch, the Port Charles district attorney, patiently helping Polly get her mind around her own storyline. Murdoch: Now, you understand, Miss Prentice, that what we are trying to prove is that they murdered your father. Polly: Yes, Mr. Murdoch, I realize that. I just… I wish… well, I guess it’s no use in wishing I didn’t have to testify, is there? Murdoch: No, it’s a little late for that. But that’s why I thought it would be easier for you if I sent you a subpoena. You see, a subpoena is a court order. You are required to come and testify. So that makes sense, obviously. It’s a court order; she doesn’t have a choice. Polly: Yes, sir, I understand. I just wish you didn’t need me, that’s all. Murdoch: Well, frankly, I thought that this would make it a little more comfortable for you, Miss Prentice. Nobody will be able to embarrass you about volunteering testimony. You have no choice. Everybody will understand that. Okay, great. Got it. Not a hard concept. So the thing that I — oh, sorry, wait. We’re still mansplaining things to Polly. Polly: Oh, well, I hope so. I just honestly hate to do this, I mean, with all the publicity, and everything. But, Mr. Murdoch — if I’ve been subpoenaed, then I can’t help it, can I? Murdoch: No, you can’t help it, Miss Prentice. You’re in no way responsible. 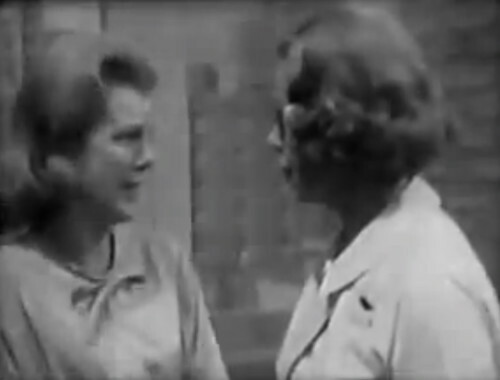 You have to tell what you know about the relationship of Jessie Prentice and Dr. Baldwin to each other, and to your father. All I want is the facts about what you know to be true. Now, do you understand? Over at Collinwood, the explanation scene plays out a little differently. The enormous, undead Frankenstein monster is put out, because his new satanic friend allowed the murderous witch to leave the room without letting Adam strangle her. Adam: She will try again; I know she will come back. Why does she hate me? I did nothing! Nicholas: An unfortunate fact of the human world, Adam. When two people wage war, the innocent are often caught in the crossfire. Adam: I do not understand. Nicholas: There is so much I have to teach you! But I will get to that… after I finish the business at hand. But Adam’s right; Angelique really is going to try again. In fact, she’s trying right now. She’s slipped off to the drawing room, where she pulls out a homemade voodoo doll and a sharp pin. But Dr. Hardy can’t allow that kind of thing to go on. Just before Nurse Lucille thrusts the pin through the clay figure’s heart, Dr. Hardy grabs her and twists her arm behind her back. “What a fool you are!” he growls, as Lucille struggles to pick up her voodoo doll, and put an end to the unnatural creature hiding in a deserted wing of the hospital. Or — Collinwood, sorry. A deserted wing of Collinwood. This isn’t Dr. Hardy and Lucille; it’s Nicholas and Angelique again. But that reminds me — I wonder what Lucille’s up to? She seemed pretty determined to make her sister Audrey change her tune. 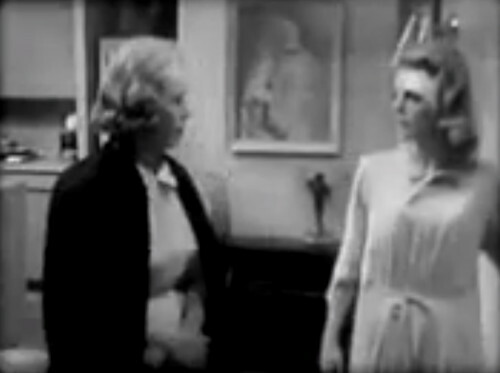 Now, she’s walking into Audrey’s drawing room for a visit. Lucille: Hi, honey! I hope you don’t mind me barging in like this, I know you said you didn’t feel like company. Audrey: No, that’s all right. Why didn’t you tell me you were coming? I would have fixed you some lunch. Lucille: Well, that’s why I didn’t tell you. I had a quick lunch at the hospital. And what about you? Audrey: Oh, I had some bouillon. That’s about all I felt like. Lucille: Now, honey, you’ve got to eat, if you want to get your strength back. Meanwhile, four months and an hour later, Nicholas and Angelique are having their own confrontation. Angelique: You can’t punish me for doing what I came to do! Nicholas: Oh, can’t I? I can punish you for being still in love. Angelique: No, I hate Barnabas Collins! Nicholas: I can punish you for having such human emotions! Angelique: He has defied me! Nicholas: I can punish you for caring about that! So I guess things are a little bit more intense on the Dark Shadows set. Still, it’s not like life stands still in Port Charles. Lucille: I bought you a few things that I thought you might like. Lucille: Not very much. Just a few odds and ends. First — I bought you a couple magazines. Audrey: Oh. Well, thank you. Angelique: Oh, if you would only forgive me! Nicholas: What would my master say? Angelique: He is my master too! Nicholas: Not anymore! Your master lives on this Earth — in the Old House, not far from here! Lucille: And then, I bought you a game, which will allow you to play bridge by yourself. 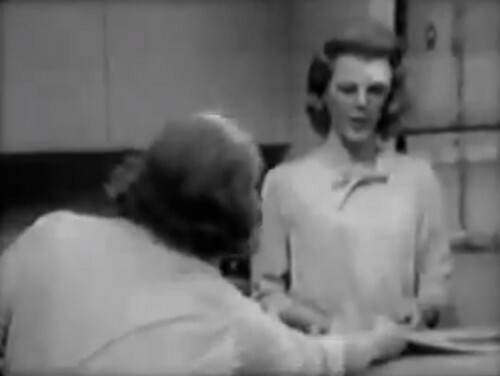 Audrey: Well, Lucy, I don’t know how to play bridge. Lucille: Well, you can learn, from that! I bought you a beginner’s set. Nicholas: Let me see, now. What shall I do to you? Angelique: Adam is alive. Nicholas, remember that — Adam is not dead. I tried to kill him, but I failed, punish me for that! I won’t try again, I swear! Nicholas: You’re begining to sound like a woman in panic! All right… that’s what you’ll be. Lucille: And then, I bought you a drawing pad! Lucille: Yeah! I thought, if you’re just sitting around, you might find out if you have any artistic talent! And I bet you have, I bet you’ll surprise yourself. You know, everybody seems to be wanting to draw these days. Nicholas: Tell me your name. Angelique: You know it. Angelique. Nicholas: No. That is not your name. Cassandra Collins is your real name now. Angelique: What do you mean? Nicholas: You are no longer playing a woman married to a human. You are a woman now, married to one Roger Collins! Lucille: I have one more thing. Ha! You’re going to think I’m crazy. I bought you two enormous knitting needles, and some huge knitting yarn. Now, look at that. Audrey: Lucy, you really didn’t have to do all this. Lucille: Well, I wanted to, honey. I wanted to. Audrey: You’re being very kind, I know. Lucille: Well… what’s a sister for? Nicholas: You are no longer a witch, a member of our coven. You are human — without power. You have only the minutes left to you to live out. You will die, as humans die! Lucille: A little bored, aren’t you? That’s why I brought you those things, I thought they’d help to pass the time till you really get on your feet. Audrey: I’m sure I’m going to have to do something. I expected everything would be so different; I expected I’d be so busy! Lucille: Well, of course you did, honey. But here you are, in the apartment all day long with nothing to do. Well, you’ve got to find something to do! Something creative! Something… something wonderful! Nicholas: This hand is no longer the servant of my master. This hand is no longer the recipient of my master’s grace. Nicholas: This mind is no longer the property of my master! And this heart is no longer our domain! Audrey: Losing this baby has made such an emptiness in my life! Everything I do seems like busywork, without any meaning at all! Lucille: Well, now, Audrey, don’t talk like that! Nicholas: You are a woman, born in Martinique in 1774. Died… we shall soon know. Lucille: Audrey… since you want to face facts, I think there’s something else you ought to face up to. Nicholas: You are mortal now. Audrey: If you keep going the way you’ve been going, you’re going to lose Dr. Hardy! Nicholas: That is your punishment. Lucille: He told me he was at his wit’s end to know what to do about you! Angelique: How long do I have left? Nicholas: I am not a fortune-teller. Audrey: I do love Steve. Lucille: … But there’s only so much a man can take. When Cassandra turns off the tape recorder in the teaser, someone in the studio coughs. 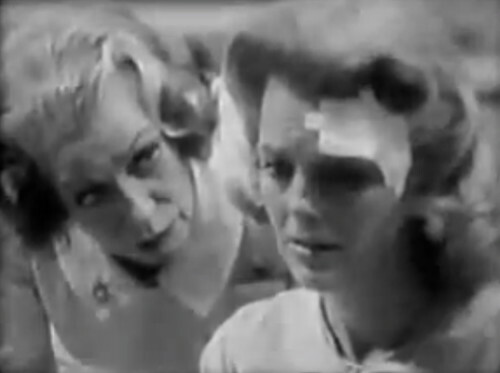 In the teaser, Cassandra listens one more time to Dr. Lang’s message on the tape recorder. This is the last time the message is heard on the show, thank goodness. 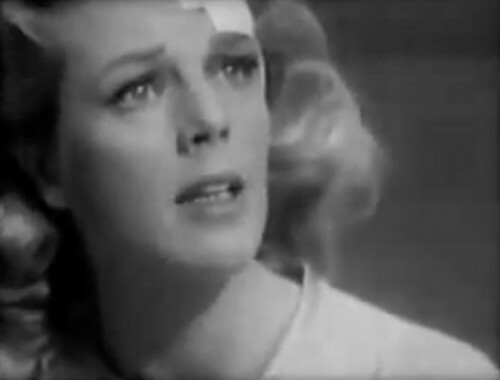 The message was heard in 13 episodes following Lang’s death. Sam Hall wrote all five episodes this week. It’s the first time that one writer has written a full Monday-to-Friday week of the show since Francis Swann in November 1966. 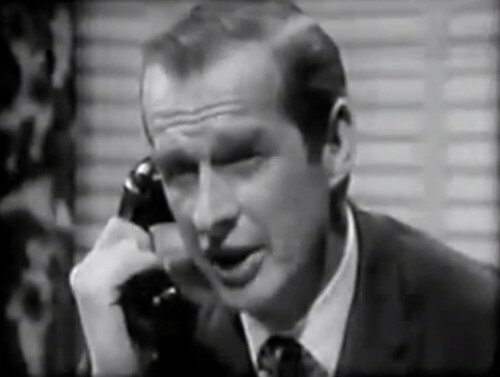 There have been a few times when one writer has done five episodes in a row, but split across a weekend — especially in September 1967, when Gordon Russell and Ron Sproat were the only writers on the show for about six weeks. Great mash of shows! 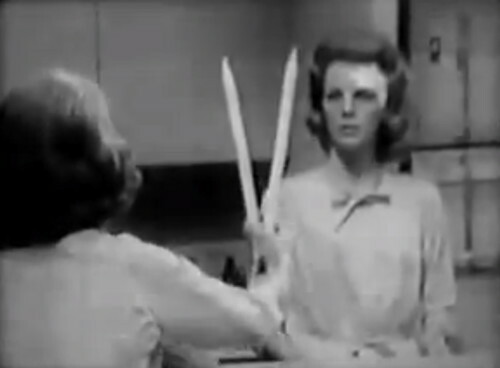 I loved GH’s Lucille because she always scared the bleep out of me, and most of the other characters, it seemed. Nobody messed with Lucille. 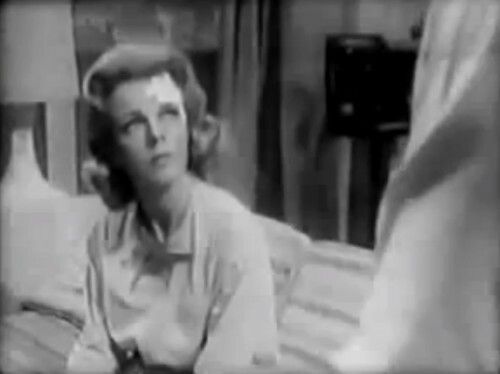 Collinsport Maine – until now all storylines were contained within city limits (with a quick detour to Phoenix AZ to delve into the origins of Laura ‘The Phoenix’ Collins). These references to the Master and the Underworld is where the show broke the eerily cozy small town atmosphere, which is where the show functions most effectively. 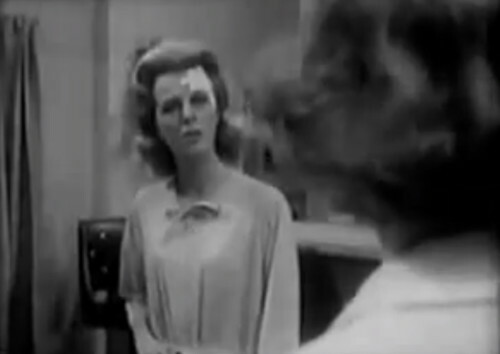 Also a footnote regarding Danny’s General Hospital/Dark Shadows comparisons: General Hospital also began as a show taking place within the confines of a relatively small town/city: Port Charles (did they ever mention in which state this show took place). Anyway I watched this show during the Luke/Laura heydey but stopped being a regular viewer when they were doing the storyline about one of the Casadines (Miklos?) having a device which would freeze the world? Similar to Nicholas freezing the world? They should reserve these ‘end of the world’ scenarios for the big screen. They don’t work well within the limitations of a soap opera concept or budget. I think all daily soap operas keep the action focused on one town. Doing lots of overlapping storylines means that you need characters to bump into each other a lot in public places. Also, sets are expensive. So there’s a few restaurants that everyone goes to, a couple bars, a police station, a hospital, a town square/plaza area. 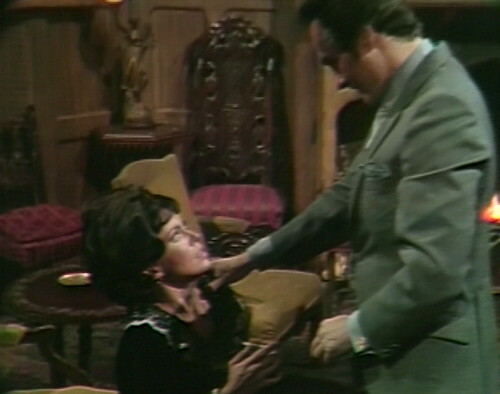 Dark Shadows took that insularity to a new level, by essentially setting the entire series in one house. (Or, at least, on one estate. But mostly in the house.) The show is so geographically limited that when you see a character walk out the front door, it’s usually a huge plot point, and people start to panic and ask each other where that character went. 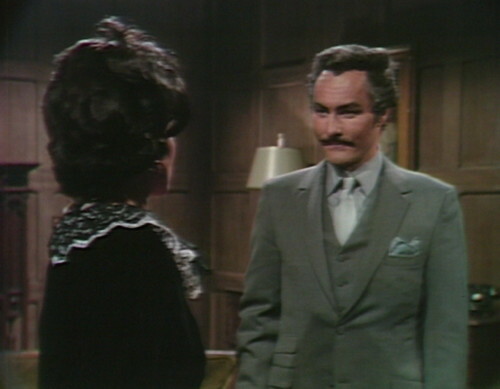 In looking at the contrast of the shots between the two shows as they were filmed that same year, it’s easy to see why Dark Shadows is still so widely viewed today as opposed to other soaps of the time like General Hospital. 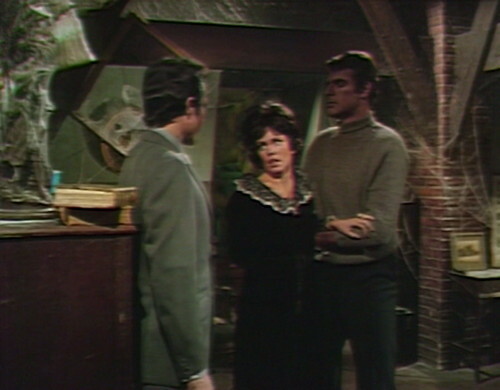 Other soaps of the day had bigger budgets–though probably not General Hospital if it was on the same low-budget network as Dark Shadows–and the bulk of the budget went toward the cast, whereas with Dark Shadows more money was spent on the technical side. 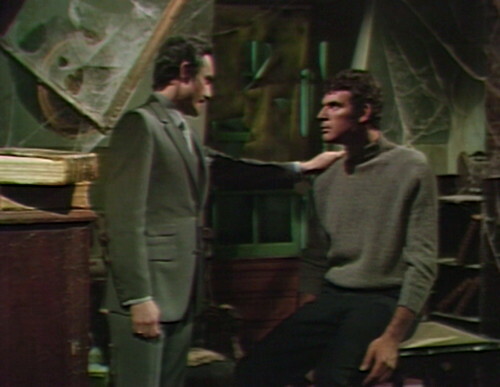 For each week of five episodes, Dark Shadows had a weekly budget of $70,000. Each actor was paid $330 per episode. 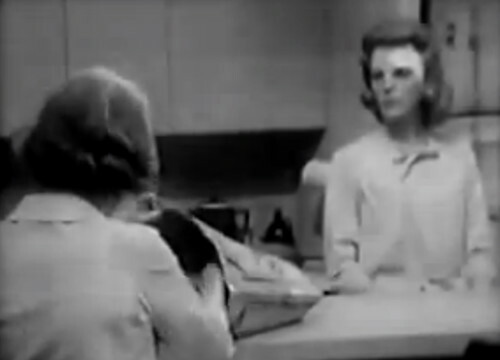 Those stills of General Hospital look out of focus and blurred in the long shots, as if no thought at all went into how the scenes would appear. Either the cameramen needed glasses, or eyeglasses should have been placed over the lens of the cameras themselves. I think some of the fuzziness is that my GH screenshots are from a YouTube upload of what is probably a second-generation videotape transfer, compared to a DVD remastering for the DS episode. But the difference in production quality is really evident, with Dark Shadows winning on pretty much any measure except sanity. 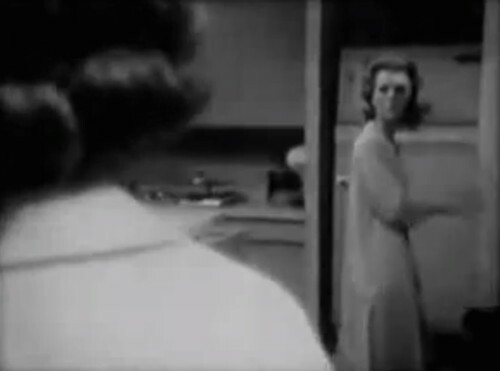 A single camera shot on 1968 GH lasts forever — characters walk in and out of the frame, and the camera just pivots to take it in, like you’re watching a play. Then they’ll cut to another camera, which is just the same two-shot from a slightly different angle. The thing that dates 1968 GH the most is the organ music, which sounds awful. They only have music at the start and end of a scene; everything else happens over a respectfiul silence. It feels static. The organ must have sounded out-of-date even in 1968, considering the pop music that people were listening to at the time. For a modern viewer, the organ music is dated beyond all hope of redemption. Yes, I forgot about the organ music! 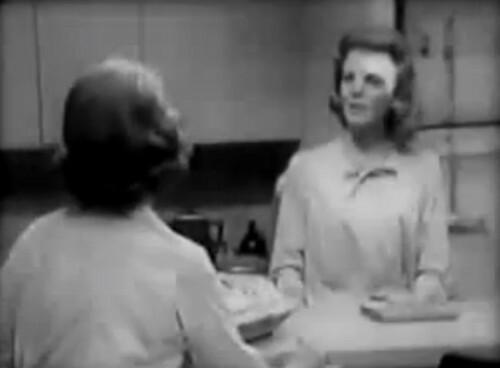 Now that you mention it, I’m recalling the soap parodies from The Carol Burnett Show, like As The Stomach Turns. There are plenty of those on YouTube, and they begin with that opening funereal/ballpark organ sound. It’s the same kind of pipe organ used in the soundtrack of Carnival Of Souls (movie from 1962, with the entire soundtrack comprised of a single church organ), but at least with Carnival Of Souls a more spooky and engaging use of that organ sound was made, so that even if dated it still sounds dark and compelling, because it’s “sinful organ music”–which should be played in General Hospital, or any soap for that matter, since they’re so full of sins in their own write. Carnival of Souls is one of the scariest films I’ve ever seen – the abandoned amusement park was a great background to film against and ‘Mr Linden’ reminds me of Willie Loomis before Barnabas got him in line.. 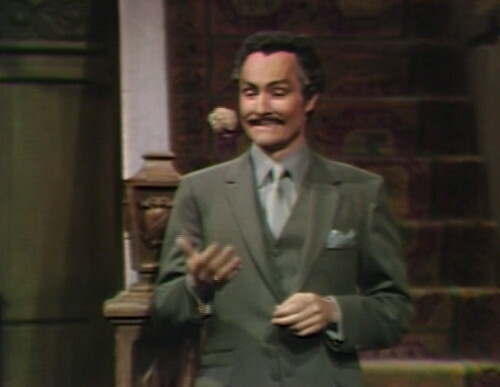 So very true about Sydney Berger’s Mr. Linden, though he reminds me of the James Hall version of Willie Loomis–all guttural sleaze as the ultimate unwanted suitor. 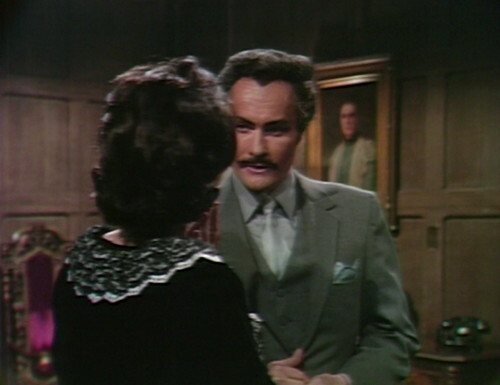 He even gestures the way James Hall did on Dark Shadows, with that smarmy, ingratiating grin. Maybe James Hall studied this character as a prototype while reading for the part of Willie? Not to defend “General Hospital” in particular (my family was loyal CBS soap opera fans until it got to the point where the survival of the genre itself was at stake), but a couple of fair points. Although fan interest is a major factor, there are several other things going in “Dark Shadows” favor that other soaps of the time do not that helps explain why people are still watching it, outside the quality of the show and its technical inventiveness. 1. Most of the portion of episodes people are interested in (post-Barnabas) are in color, it looks like GH was still in black and white. There are people who simply refuse to watch anything in black and white. I don’t understand them, but there is a fairly large clump of them out there. 2. Its run was short. 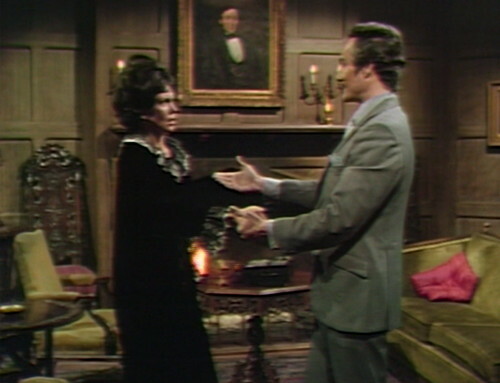 It’s possible for a person to watch and rewatch the entire run of “Dark Shadows.” You can’t do that with “General Hospital” or most other soaps. I’d love to be able to do that for “Guiding Light” but it’s just not possible even if they still existed there are too many episodes and not enough time. 3. Someone was smart enough to save all the episodes. I can’t say for GH, but for “Guiding Light” only a literal handful exist before 1979 (they reused the tapes instead of archiving them). 4. Of the episodes of P&G soap episodes that do exist those that were released on DVD (again a handful) did extremely well, but clearing the music rights proved more than the start up company that was handling the DVD sales and production could handle. 5. Organ music was used because it was a cheap compromise. It allowed more personalization and expression than canned music, but cost less than an actual band. The places where cheap, personalized, live (and loud) music are needed still use organs (mostly baseball fields and churches), but it was once a much broader experience in our culture. It wouldn’t have sounded odd at all to earlier radio soap audiences and they carried it over to TV because that’s how soaps were “supposed” to sound. However, it was sounding dated by the 1960s as the other venues that used it slowly stopped. wow. GH looks so pale and drab in comparison to our wackadoodle DS!!! great mashup.